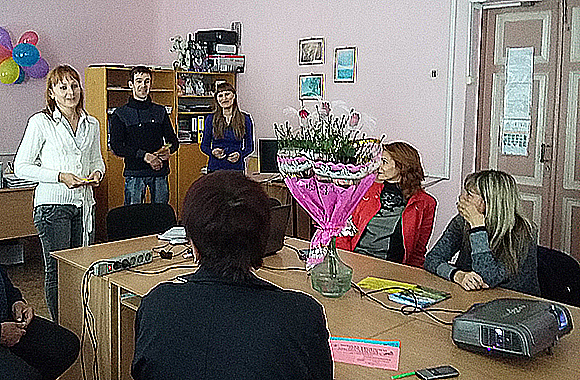 The first lesson at the Creative Growth School took place in the Starobilsk subdivision “RCPE of LTSNU”. The information covers more and more sectors and is becoming one of the most important human values and the basic resource of the future. The process of informatization of educational system places new demands on the participants of the educational process in the field of raising information competence and information culture. This lesson examined the issues of providing students and teachers of the institution with textbooks and methodological literature, were presented for review to the constituent elements, steps and paths of development of information competence of a student and a teacher. Teachers M.A. Tretiak and E.V. Fedosyuk shared their experiences of formation of the students’ information competence in their subjects of Computer Science, Biology, Chemistry and Geography. 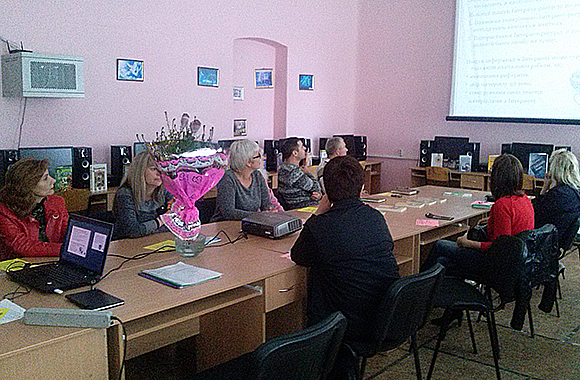 The head of the school held the INFO-workshop “How We Perceive Information?”. During the lesson, listeners of the School proved that the most effective information competence of students is formed under the following conditions: problem-based learning, the use of multimedia technologies and the project method.